All will be revealed in a matter of weeks. Korean manufacturer Hyundai has a reputation for making dreary cars, but that could be about to change. While the much-anticipated i30 N represents Hyundai’s assault on the hot hatch segment to rival the Ford Focus ST, the Kona is essentially Hyundai’s answer to the Nissan Juke with a design that’s just as commendably quirky. After a teaser campaign almost as agonizingly long as the infamous Dodge Demon's (seriously, there have been no less than 12 teaser videos), Hyundai will finally reveal the Kona subcompact SUV on June 12. The latest teaser video shows brief glimpses of Hyundai’s bold new design direction, confirming that the Kona that was previously spotted undisguised during a photo shoot was the final design. 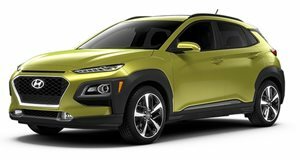 A cascading grille characterizes Hyundai’s new design language, while the Kona’s “aggressive body styling” and “sleek and sharp shapes” will ensure it stands out in the crowded subcompact SUV segment. As we saw in the leaked photos, among the Kona's quirky design features are dual headlights, flared wheel arches and slim taillights which will no doubt be polarizing to a mass market. Still, you’ve got to commend Hyundai for coming up with a more daring design. In a first for Hyundai, the Kona will also feature a head-up display projecting information into the driver’s line of sight with “class-leading luminance.” Despite being a subcompact crossover, Hyundai is pitching the Kona as a “true SUV,” so it’s probably safe to assume it will feature all-wheel drive. Unlike the i30, the Kona will be released globally in one of the most competitive segments in the industry, so it certainly has a lot to live up to. Named after the Big Island of Hawaii, the Kona is expected to be based on the Hyundai i20 supermini and is likely to adopt the same 1.0-liter and 1.4-liter gas engine and 1.6-liter diesel as the new i30. It will be on display at the Frankfurt Auto Show before going on sale later in the year. It’s a swing at twenty-something buyers. Is it a miss or a home run?